There is one downside in that it does not appear to have tri-band HSDPA, which means that it might not be able to leverage AT&T’s 3G network. However, all of you waiting breathlessly, relax, you will get your Storm soon. In the meantime, if you are eligible US voter, take a break from reading this and other news, go out and vote! It is only the most important election in US history. (Sorry, I have to do my part for the cause). Nokia N96 ready for US release? Looks like the good folks at FCC have tested and passed the North American version of Nokia’s highly anticipated N96, the follow-up to its popular N95 phone. 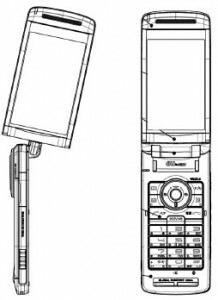 This is a quad-band GSM and tri-band CDMA phone with Wi-Fi capabilities. It also has a large 2.8 inches display, 16GB of internal flash memory and 128MB of RAM and S60, 3rd edition software, Mobile TV access, microSD card slot, and weighs only 125 grams. For all of you who are waiting for Christmas to splurge on a new phone, I both envy and pity you. With Sony Ericsson, Nokia, Samsung and RIM all releasing some really cool phones, you will have a hard time deciding which phone to buy. Oh, and in case your heart is set on the Nokia N96, the MSRP is US$800. 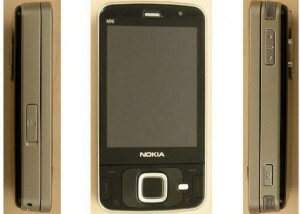 Yesterday, folks over at CellphoneSignal notedthat FCC had given approval for Nokia N85 with 3G. This is a quad-band GSM and WCDMA phone. The RM-333 model will support the 3G bands and RM-335 model will support GSM/EDGE. 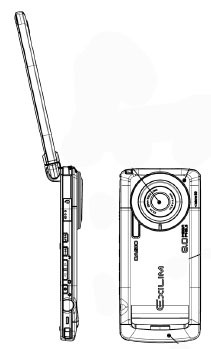 Both the models will have 5Mpxl camera with 2 flash LEDs and are intended to be video oriented successors to the N96. The phone also has secondary video call camera and comes with S60 3rd edition UI, integrated GPS and Wi-Fi support. No news yet on pricing or release dates. Tip me on new stories! Are the rumors true? Is there going to be a new iPhone this summer? Hey Sports Fan, get your Pumas on!